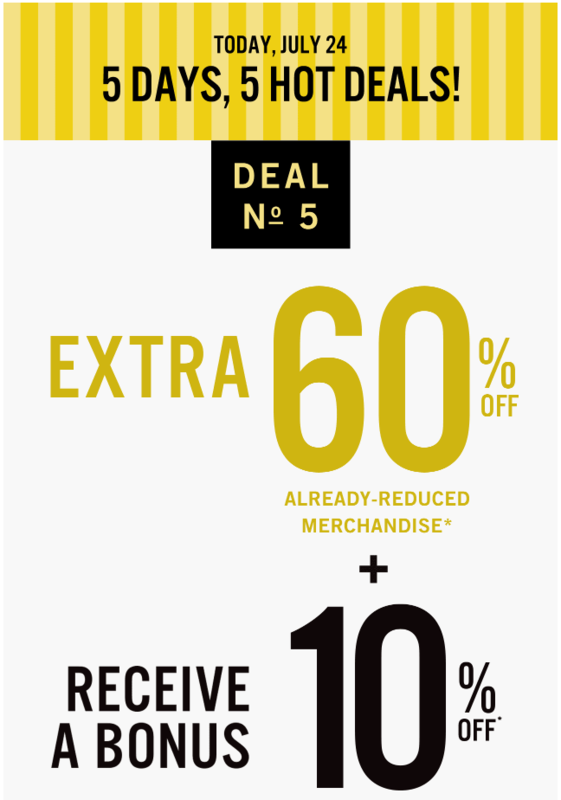 Addition Elle Canada last day of the great 5 Days, 5 Hot Deals Event ends today, Monday, July 24, 2017. The Addition Elle Today’s Hot Deal includes: Save an Extra 60% off Sale Styles + Bonus Extra 10% off with Promo Code EXTRA10 at checkout. Addition Elle has FREE shipping on all online orders over $99. Click here to get Addition Elle Canada online offers.